I signed it. Even if it might not do anything, what's the worst that can happen? It only takes like a minute to sign it at the most so, I encourage everyone else here to sign it as well. Great vid, man. It would be great if you could expand upon why it's such a great game in another video, talk about the different modes (i.e. Season, Success, MLB Life), gameplay, etc. Ok I gotcha. I think I'll make a video on that. Maybe with gameplay in the background. So the description on the petition has changed - but it has some oddball links towards the end of every paragraph, it starts with a period and quotation marks, and it has my last line about comments being welcome, haha. any chance you can trim/fix those parts? Can someone else please make a video or something for this? We need another way to promote this petition. Sorry to bump. Can't we just tell Sony's hackers to release the game and threaten the theaters? I never truly knew who the Yankee and dodger were. I always thought the Yankee was Mike Mussina or Wang and I never put a name on the dodger. What do you think? My guess is Wang and Hiroki Kuroda. 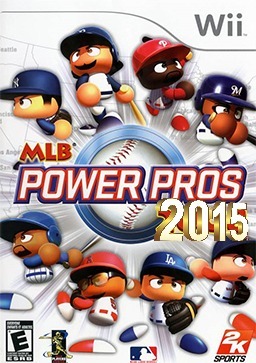 The cover features 8 then-MLB stars: Chien-Ming Wang, Magglio Ordóñez, Jimmy Rollins, Prince Fielder, Derrek Lee, Francisco Rodríguez, Takashi Saito, and Josh Beckett. The Phillies player can't be Howard, he's a righty. It's Jimmy Rollins, the cover guy looks like him. Also, now Rollins is off the Phillies, lol .